Win or lose, boost your child's self-esteem with supportive comments. These talks handled well, will make sports participation more meaningful for your children. And as a bonus, they'll strengthen your relationship with them too. There's a difference, too, between the immediate (say, in the car going home) conversation and the one that happens a few hours later or the next day. In the initial aftermath of a competition, your child may just need time to decompress, and may not want to talk about the event at all. Respect his feelings, and learn what works best for him. Every kid is different. Being a good sport means being gracious in victory, but also in defeat. So avoid trashing opponents or officials if your child loses a game or performs poorly. That sets a bad example! If your child's team did win, steer clear of boasting too vehemently. Say: "Your team really worked well together today" or "The other team had some great shots on goal." Don't say: "That ref was terrible. Your team should have won!" Your child needs to know that you're not angry or ashamed if he loses or performs poorly. He also needs to understand that your love isn't dependent on his successes in sports. That sounds far-fetched, but it happens, and can quickly lead to anxiety or burnout. Say: "I am so proud of you," "I am so impressed with how hard you worked," or "I love to watch you run." Don't say: "I'm disappointed" or "How come you didn't make that catch?" 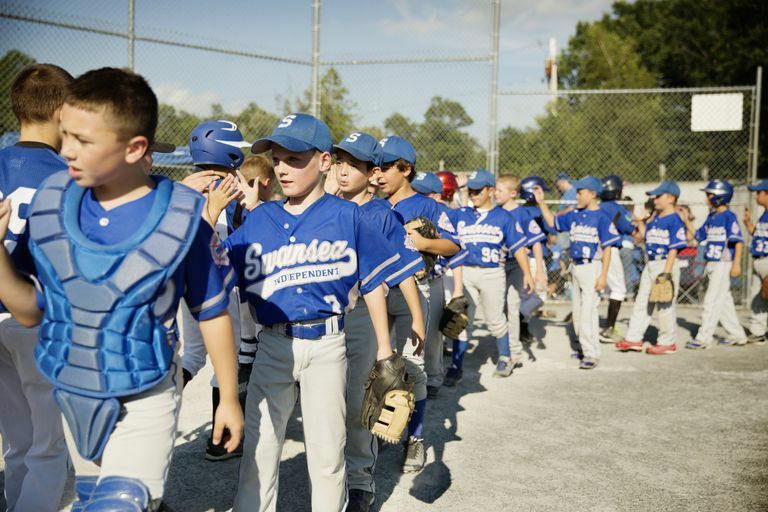 Use the after-game debrief to encourage your child and to guide her upcoming efforts. But don't do a play-by-play analysis, especially immediately following a game; save that for the coach. Say: "Your practice seems to be paying off!" or "I know you're sad that you lost. Is there something you want me to help you practice before the next game?" Don't say: "You're not practicing hard enough!" If your child is struggling in his sport, you can sometimes sniff out a problem during your chat. Proceed with caution, as his emotions are likely running high at this time. You may need to allow a cooling-off period, and then follow up. You may be able to sense what issues are cropping up with sensitive questions. Say: "Did you have fun? ", "Did you learn anything new? ", or "Did anyone say anything funny in the locker room?" Don't say: "How come you don't like your team anymore?" or "Did the coach yell at everyone, or just you?"